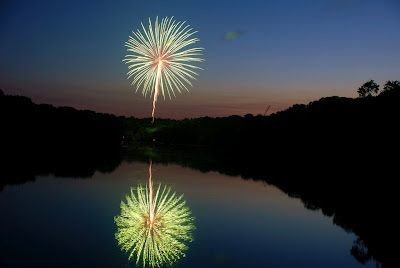 On Monday, July 2, 2012, the Spirit of Princeton will present its annual Independence Day Fireworks. The best viewing site is the fields next to the Princeton University Stadium, along Western Way. The fields open at 7 pm for picnicking and the fireworks begin at dusk, around 9 pm. Bring your picnic baskets, but no alcoholic beverages are allowed, nor is smoking because of the artificial turf. Parking will be available in University Parking Lot 21 below the fields off Faculty Road and in the University parking garage on Prospect Avenue. This event is free, thanks to the Spirit of Princeton, a group of volunteers committed to producing events celebrating community and patriotism in Princeton.